Microsoft phones are those phones you buy to feel good about yourself, and of all the Microsoft phones that I have used, Microsoft Lumia 640 authenticates that feeling than ever before. For two weeks I have been using the Microsoft Lumia 640 for virtually everything a phone is meant to do – and for the first time in my ownership of Microsoft Lumia range of smartphones, I completely ignored my Android gadgets. From the physical built, smooth browsing experience to beautiful photography and video recording, Microsoft Lumia 640 makes you miss nothing, well, except for the million Apps and their “real time” updates you’ll only find in Android or iOS ecosystems, a million Apps you will probably never know existed. That still remains the biggest setback in Windows ecosystem, but we believe that’s about to change with Windows 10 as Windows 10 will likely allow developers to “copy paste” their App codes from Android or iOS to the new Windows. 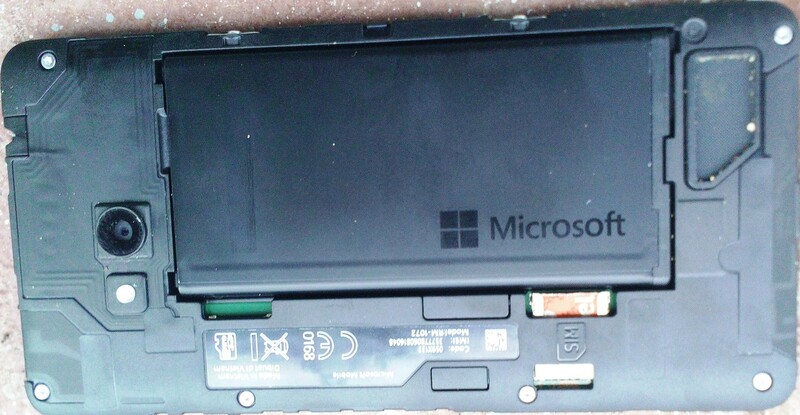 One unique thing on most of Microsoft Lumia phones especially the low to mid range devices is the plastic cover which runs throughout the back and the sides. I already explained the beauty of such a cover and there is no reason to go back into it. What’s important to know about Microsoft Lumia 640 is my son – he is two and a half years old, and just unlike me, he loves tantrums. When he wants something you better give him at the instant in time he wants it. Any attempt to give him a few seconds later means you have declared that item written off and that’s why his mother’s tablet broke into pieces early this year. So there was this day that he really wanted to work with the Microsoft Lumia 640 but I was busy doing an actual work with it so I delayed to respond to his nagging requests for several seconds, and when I finally handed it over to him, in a flash he made the phone fly from his hand to hit the wall 5 feet away. My heart froze. Damn, the phone was only five days old. I waited for the phone to nurse her injury for about a minute then I picked her up. She hadn’t gone off. I looked at the screen and the plastic cover and everything was still as good as new. I opened the inside to examine the internal structure and there was nothing loosened up. What a relief. That well built plastic cover is a real back and sides protection. The screen on the other hand has the Corning Gorilla Glass 3 which is so strong that several break and scratch tests have failed to break it. When Microsoft Lumia 640 falls, you surely have no reason to worry – of course unless your intention is to break it. And the damn screen, even without screen protector, never scratches. There are phones when held feel weak and a slight drop would render them useless. That’s exactly the opposite of Microsoft Lumia phones, and the hardware quality on Lumia devices goes back to the good old days of Nokia. Handling Microsoft Lumia 640 gives you confident as the phones have top notch aesthetic and hardware qualities. When I asked her what she likes about the device the most, she said, “It is classy”. And I agree. Microsoft Lumia 640 is a standard 5 inches screen smartphone on a 141.3 by 72.2 by 8.8 mm body and weighs 145 grams. 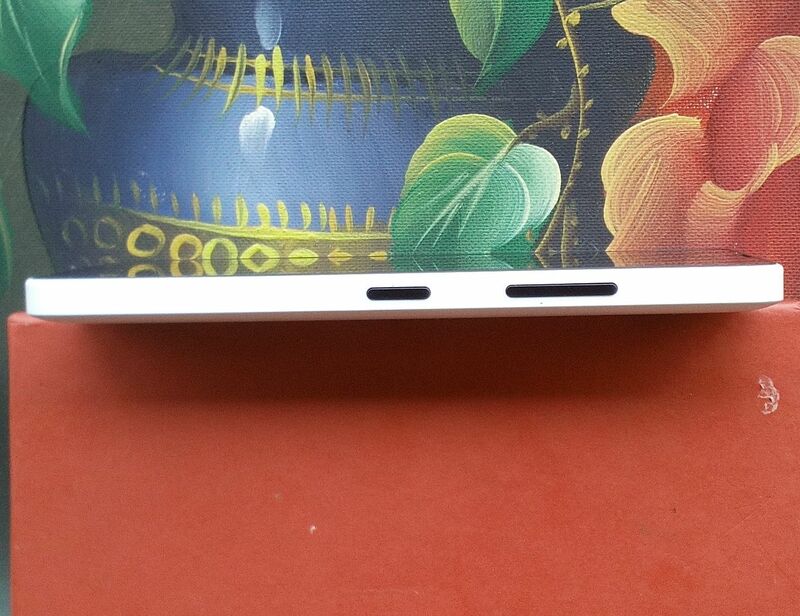 The screen covers most of the top as the screen to body ratio is about 68%. The main buttons (Back, Home and Search) have been removed from the bottom bezel and are now part of the screen, although when viewing photos, watching videos or reading in full screen the buttons get hidden; a situation that make it difficult for people to navigate out of photos, games and videos – but once you learn how to swipe the button back to view, using the buttons become so easy you would laugh at yourself for complaining earlier. Microsoft Lumia 640 is a mid-range smartphone and so is expected to come with a number of mid range (former high end) features. The RAM on the Lumia phone is 1 GB. This RAM will seamlessly handle almost all of your multitasking needs. Although I didn’t do any major gaming with the device, browsing, watching videos and sharing Internet worked perfectly fine. The Internal storage is not very encouraging as from the 8 GB total memory you only get a mere 3 GB but for someone like me any memory more than 1 GB is sufficient. The phone is also powered by a Qualcomm MSM8926 Snapdragon 400 processor that boasts of a quad-core 1.2 GHz Cortex-A7 CPU and an Adreno 305 GPU. There are some mid range devices e.g. Moto X that have the lesser Snapdragon 200 processor. At the back of the phone is an 8 MP camera with autofuc feature. The 8 MP picture will have a 3264 by 2448 pixels. There is also a LED flash at the left of the camera. The front camera is great but not very impressive. Today there are mid range phones like the Cubot S350 which have front facing camera that boasts of a whooping 8 MP. A number of other mid range smartphones have achieved the 5 MP standard, yet the Lumia 640 only has a 1 MP selfie camera. I didn’t test it so I don’t know how good it is. I actually don’t do selfies either or even pictures in general. There is a bad picture of me in the review of Microsoft Lumia 435 and once you see it, you’ll know why I don’t like pictures. 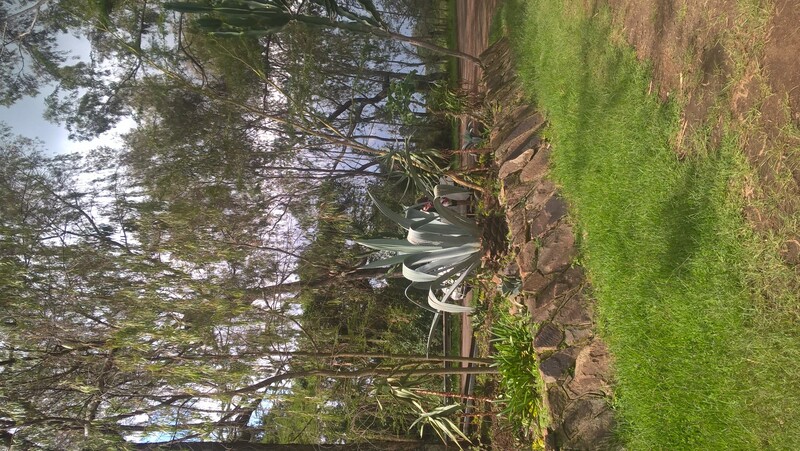 Image taken by Microsoft Lumia 640 at Botanic Garden, Egerton University Njoro. The photos taken or videos recorded by the 8 MP camera will be viewed on the 5 inches 720 by 1280 pixels IPS LCD capacitive touch screen. Although the 1280 vertical pixels might qualify the phone to be called HD, true HD is when the horizontal pixels are 1080, so I’ll be right to term it as a 720p HD screen. But you don’t have to worry – unless you are very particular, you can’t easily notice the difference between a full 1080 HD screen like the one you would get in Nokia Lumia 930 and the 720p HD screen. 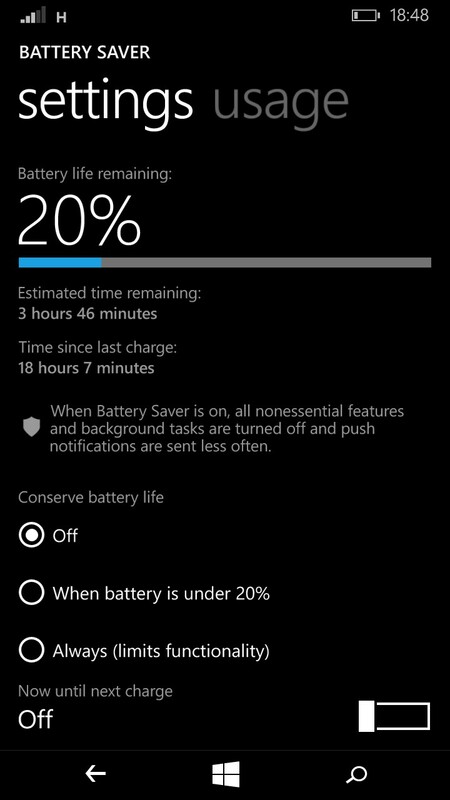 What has surprised me most is the ability of the phone to stay with power for close to 24 hours in heavy use. The above picture was taken when the phone had been used for over 14 hours at a far away place, and I was still able to share the Internet to my laptop during a meeting that lasted two hours, communicate normally, and by about 7 PM the phone still had 20% of charge remaining – and that’s when the Conserve Battery option was off. The battery is a 2500 mAh Li-Ion that promises 864 hours standby time, 26 hours and 30 minutes talk time on 2G. The promised talk time reduces to 17 hours and 30 minutes when on 3G network. The version of Microsoft Lumia 640 that I have is the single SIM 4G network but that’s really not an important feature as in Kenya, only a few places in Nairobi enjoy 4G network from Safaricom. Maybe next year we’ll start being enthusiastic about phones with 4G capabilities. As a mid-range device Microsoft Lumia 640 serves its purpose just right. Compared to Cubot S350 that I have also been testing in the last week, Lumia 640 emerges as the better one especially in hardware quality, screen real estate and the battery life. To get the phone you’ll only need to part with Shs 18,999 at Safaricom Shop, Shs 1,000 cheaper than the launch price. As mentioned, the biggest setback for Windows phones is the Apps. For example, although the ability to make calls via WhatsApp was enabled in Android and iOS back in March, the feature is yet to arrive on Windows. The TrueCaller App too, is not as smart on Windows as it is on Android. The App doesn’t get information from strange numbers when the numbers come through text or when you call the number yourself, it only shows you the names of strange callers. Also, call logs before installing the App are not reconciled with the App upon installation. I hope the delay to update Windows up will be resolved once Windows 10 arrives.